I bought one of those PlayStation 4 cameras about a week after the system’s release, and because I’m not the sort to show off my junk on the internet, it’s been sitting gathering dust under my TV. I used it to demo Playroom..for about 5 minutes. I severely overestimated how much use I’d get out of the thing. Sony, meanwhile, says it’s underestimated the camera’s potential. The sales attach rate for the peripheral have been oddly high; roughly one in seven PS4 owners own the PlayStation camera. With seven million PS4’s in the wild, that means that roughly 1 million exhibitions and/or suckers have thrown down cash for a peripheral that’s good for not a whole lot right now. Only it had the potential to be more; a peripheral actually used by game developers to make their games more…gimmicky, I suppose? Speaking to Gameinformer, Sony’s Andrew House says if there is one thing he’d have changed about the PS4’s launch, it would have been to include the camera. 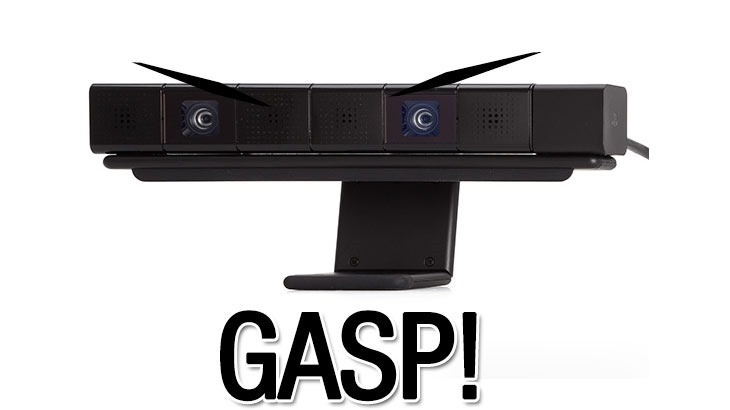 It’s not a major one, but I was a big advocate for the PlayStation camera and that it was going to be a bigger part of the landscape than we were anticipating. Within Sony, the idea of bundling the camera – similar to Microsoft’s packed-in Kinect – was an unpopular one. Not to be critical of some folks in our organization, but I think there was a bit of conventional wisdom that said, “If you look at most console launches and look at the adoption rates of a core peripheral, they tend to be very low.” I think we did sort of subscribe to that a little bit. As a result, we underestimated the potential in that area. I think Sony made the right move, leaving the camera out and keeping the console at a more palatable $399. If it were priced the same as the Xbox One, I’m not sure the split would be quite as much in Sony’s favour right now. To most consumers, price is more important than pixels. Where the camera will come in to use is with Sony’s Virtual Reality Project Morpheus; it will allow the system to track the lights atop Sony’s motion-controller lollipops; PlayStation Move. Next article Is this what Sony will reveal at E3?